In the meantime, can I count on you to be vocal? 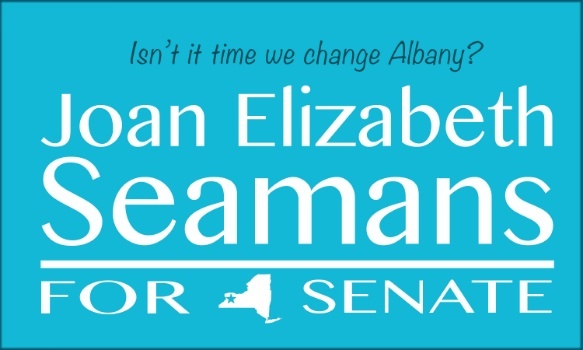 Will you continue to post and share when needed to call out his and other Republican's voting records in Albany? (I will keep you posted.) Will you write a letter to the editor when you get another of the self serving, tax payer funded mailing pieces? Will you call and write the sitting Senator and question the zero response to the decisions and vile behavior coming from the White House. What is fabulous...he and his party can no longer hide in their majority. With a Democrat controlled Senate, legislation they have refused to send out for vote will hit the floor. We will be the spectators waiting and watching and ready to respond. You can be a sliver under the skin. You can be the itch that won't go away. You voice WILL be heard.